Kitchen Hood Systems | A&D Fire Sprinklers, Inc.
As a distributor of PyroChem, A&D has the ideal solution to fit your needs with our Pre- Engineered Kitchen Hood systems. We can service any make, whether it’s a UL 300 upgrade, new installation or routine inspection. Call A&D today to consult with an industry expert on selecting the correct system for your needs. The Kitchen Hood Fire Suppression System is a pre-engineered solution to an appliance and ventilating hood and duct grease fires. The system is designed to maximize hazard protection, reliability, and installation efficiency. 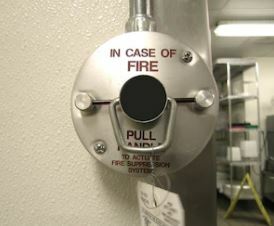 We will provide the right solution for your fire protection needs, no matter the size of your business.